Do you have a Magento store? 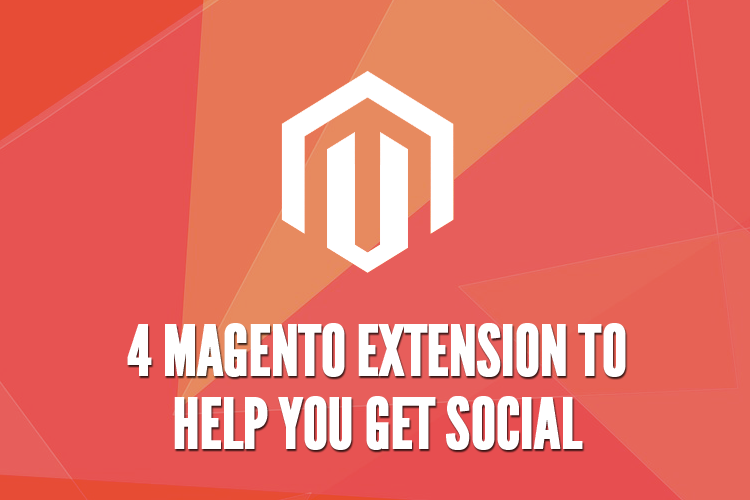 Wondering about the Magento extensions that can help you get social? Magento helps you to build a successful e-commerce platform. Magento Connect is similar to Chrome App Store and Chrome Browser Extensions that helps you download and install extensions. This is also similar to modules or plugins on other platforms. Here are some social media marketing integrations which includes both paid and free. This provides the social buttons for your store which are configurable and multilingual Twitter, Facebook, Google and Pinterest buttons. With integrating Social Share you can connect and share with your customers. You can easily access the ‘Share Buttons Bar’ for your page for the above social network. The new version of this extension is released with full support of custom themes so you can choose the appropriate one. It helps you enable and disable each button separately. You can find a lot more features online for this paid extension. With Share Me, you can promote your business on Facebook which will help you attract more potential customers to your online store. Your Facebook friends can see business post’s on their News Feed when a Facebook user shares a product. So your product will get reach and more visitors will come to your store. They may become buy your products and become loyal customers in future. This extension allows a customer to share a product page at once. This is a best premium extension with many features. An extension which helps retailers integrates their Magento Store with social networks like FB, Twitter and Pinterest. This helps you increase your sales and reach more customers. It helps to integrate the shopping cart API, which allows the customer to shop inside FB but check out in your regular online store. Beetailor is an extension with various features such as easy to integrate with your existing store, create and configure promotions, offsite and onsite social tools, secure and a lot more. AddThis extension can help you increase traffic to your site and also promote your content to over 350 services. You can also sign up for a free AddThis.com account which will let you know how your visitors share your content. Add more features to your Magento store and enhance your e-commerce store. To reach more customers with the social integration. We can help you enhance your online store, contact us today.